Let’s face facts. Few city-dwellers are content with the total square footage of the apartments in which they live. If you are in Dallas, Texas, and you’re looking for a luxury apartment with plenty of room, the experts at Gramercy on the Park can help you find a one-bedroom or two-bedroom apartment that is right for you. Coordinate colors. 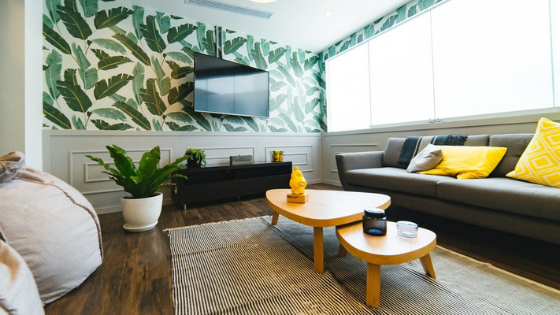 Residents who crave a more spacious feel in a specific room are wise to paint all interior surfaces (such as walls, ceiling, doors, windowsills, and trim) in the same neutral tone. Likewise, residents can create the illusion of space throughout an apartment in general by tying interlinked areas (such as hallways and entryways) together with a common color and shade. Rugs that bridge two or more areas can also facilitate this illusion. Think about scale. Cramming a large amount of sizable furniture into any room will obviously make it feel more cramped. But when you’re dealing with an undersized room, the scale and proportion of your furniture is particularly important. Choose your furniture carefully with the knowledge that smaller pieces with slimmer silhouettes leave more space than bulkier pieces like that overstuffed recliner. Even if it takes up as much space in total, a piece of furniture with slender components will make a room appear less overcrowded. Choose and hang art carefully. Rather than adding flair to your room by packing it with accent furniture and knickknacks, take advantage of the vertical spaces on your walls by grouping artwork on them. A particularly effective trick is to incorporate mirrors and other reflective objects into these groupings. Nothing creates the illusion of increased square footage quite like a mirror. If you’re looking at apartments in North Dallas, contact Gramercy on the Park today. A representative will be happy to speak to you about the various spacious floor plans that are currently available.